In fact, the game already shows up for Linux users in their Steam library, but it can't be played yet. Furthermore, the folks at GamingOnLinux contacted Aspyr Media, the company that ported Borderlands 2 to Mac back in 2012, and they confirmed that indeed, they've been working on porting Borderlands 2 to Linux for months and that they "will talk about a release date as soon as possible". 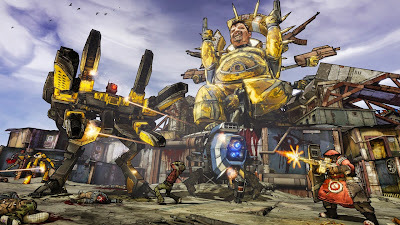 For those not familiar with Borderlands 2, this is an action role-playing first-person shooter video game developed by Gearbox Software and published by 2K Games. According to Wikipedia, the game was a financial success and with 8.5 million copies sold by February 2014, it's 2K Games' best-selling game. Borderlands 2 currently costs € 19.99 / $ 19.99 / £ 19.99 on Steam but hopefully there will be a sale when the game is released for Linux.